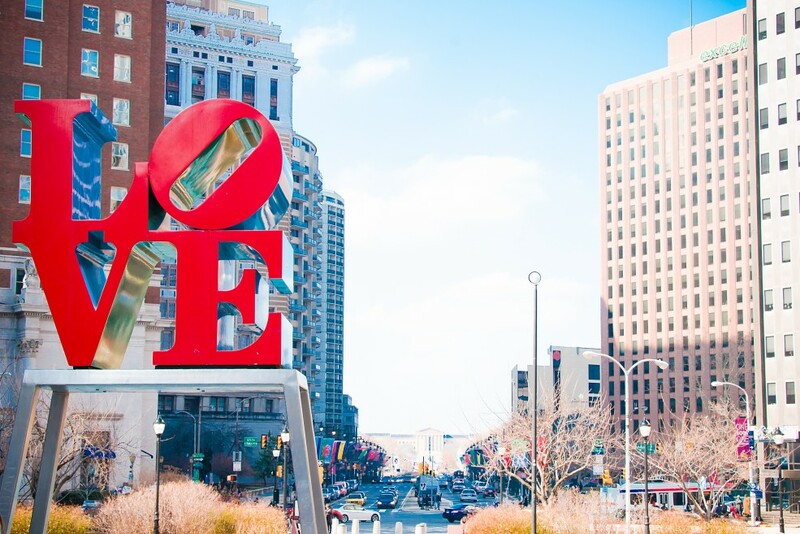 In 2013, the Association for Public Art (aPA) presented #LOVEpublicart: a photo contest and crowdsourcing social media project that used photo submissions to create a large photomosaic of Robert Indiana’s iconic LOVE sculpture. 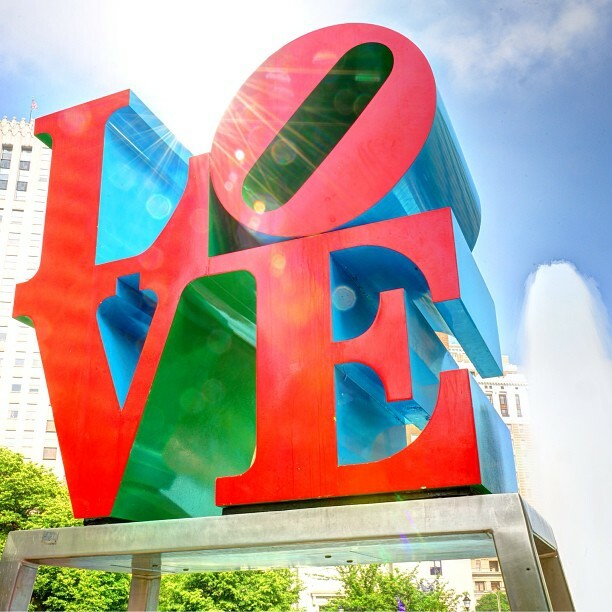 Participants were asked to submit their best photos of LOVE via Facebook, Twitter, or Instagram using the hashtag #LOVEpublicart. The top three photo submissions – determined by online voting on our Facebook page – received a $100 gift certificate to Adorama Camera and a free aPA membership. The final design was featured on bus shelters in Philadelphia and printed on posters that were made available to the public for free at locations throughout the city. 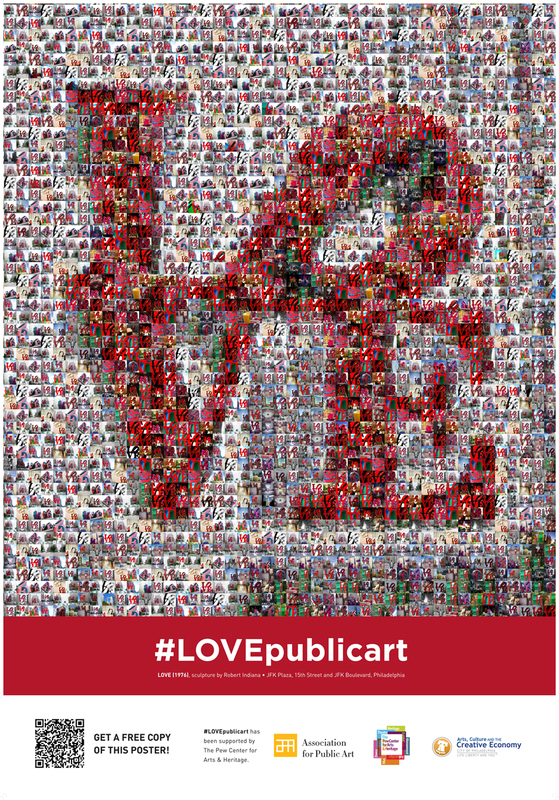 Pick up a #LOVEpublicart photomosaic poster! 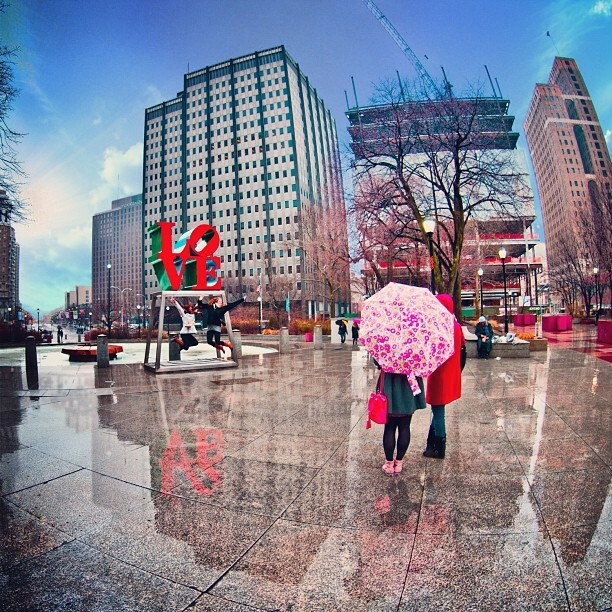 Pick up a free copy of the #LOVEpublicart photomosaic as a poster at the Fairmount Park Welcome Center in LOVE Park (JFK Plaza) while supplies last. 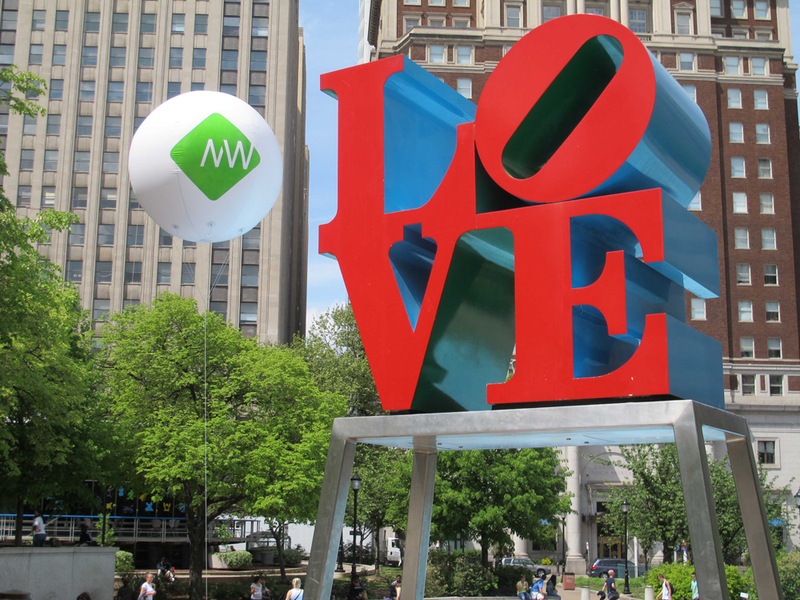 Share photos of your favorite Philadelphia sculptures using the hashtag #LOVEpublicart! 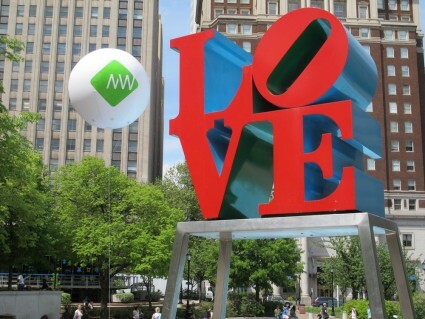 Thanks to all who participated in the #LOVEPublicArt Photo Contest! The votes are in! 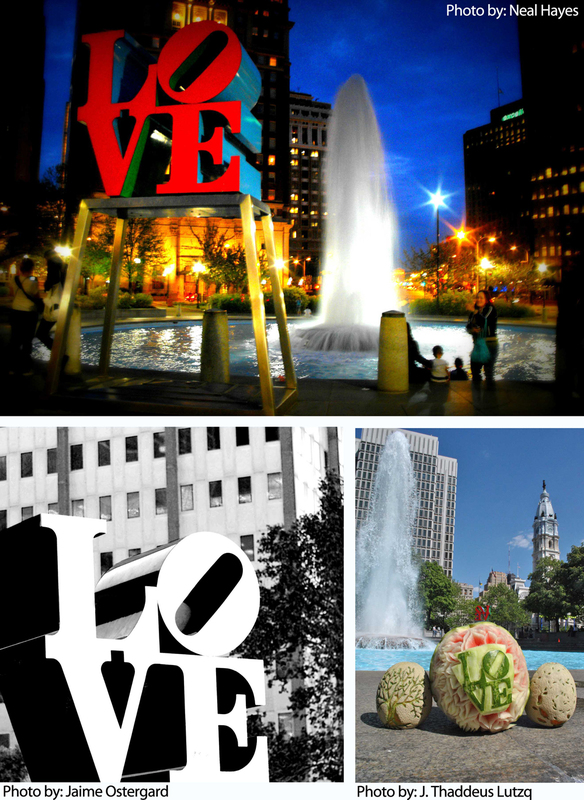 Congratulations to the top three photos of the #LOVEpublicart Photo Contest. Our winners received a $100 gift certificate to Adorama Camera and a free Association for Public Art membership. All photos submitted for the contest were used to create the final #LOVEpublicart design. 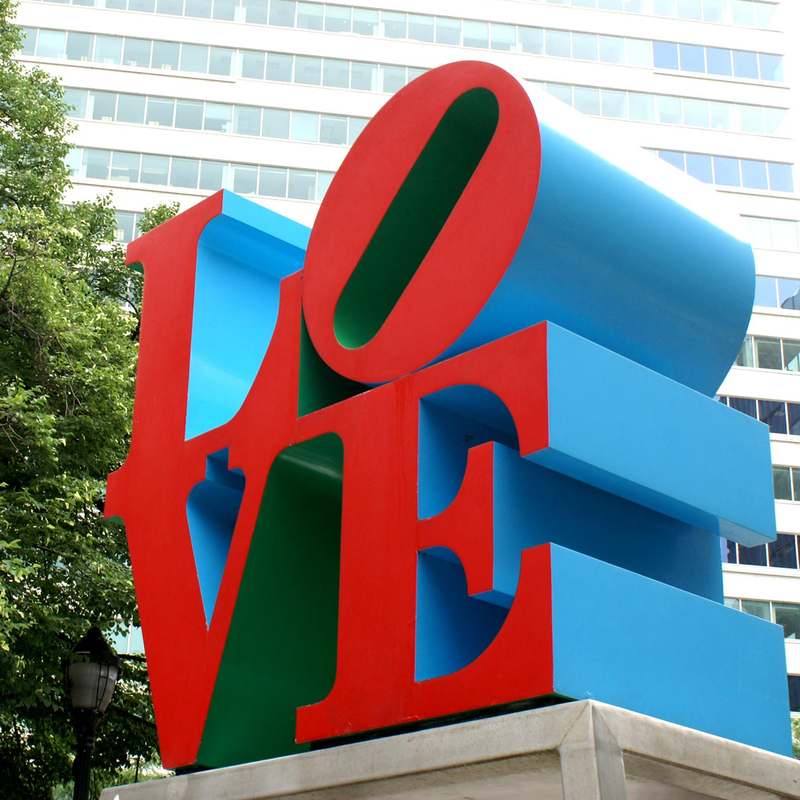 For the bicentennial celebration in 1976, Robert Indiana lent the city a large aluminum sculpture of his “love” image. Indiana first produced this design as a painting in 1964, and within a few years it had been used on a U.S. postage stamp and innumerable unauthorized jewelry, posters, and plates. The sculpture was installed in Kennedy Plaza not far from City Hall, and for two years after the bicentennial it remained there on “extended loan.” During that time Indiana’s gallery in New York tried to sell the work to the city. When the sale could not be arranged, the gallery had a truck remove LOVE to New York, where a potential buyer was interested in seeing it. An uproar ensued. 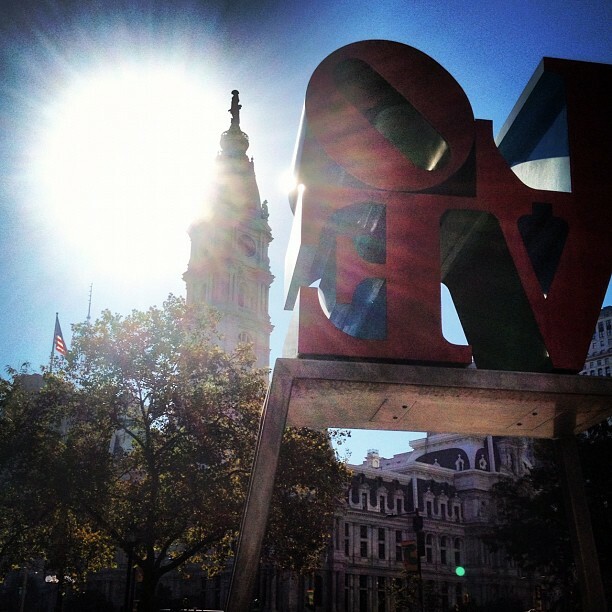 The Philadelphia Inquirer and other local media demanded to know why the sculpture had been allowed to slip away. F. Eugene Dixon, local businessman and then chairman of the Philadelphia Art Commission, purchased the work and donated it to the city, and soon it was reinstalled in Kennedy Plaza. 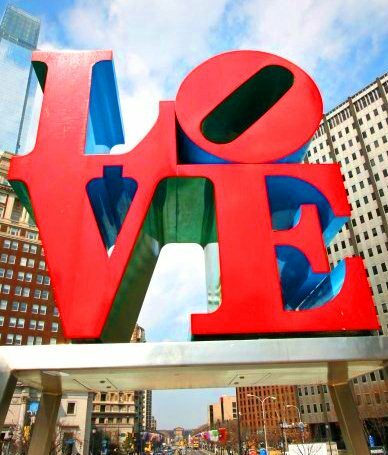 Robert Indiana is an American painter and sculptor who created the iconic LOVE sculpture. Adrian Dannatt is the author of Robert Indiana: Hard Edge andRobert Indiana: Wood. 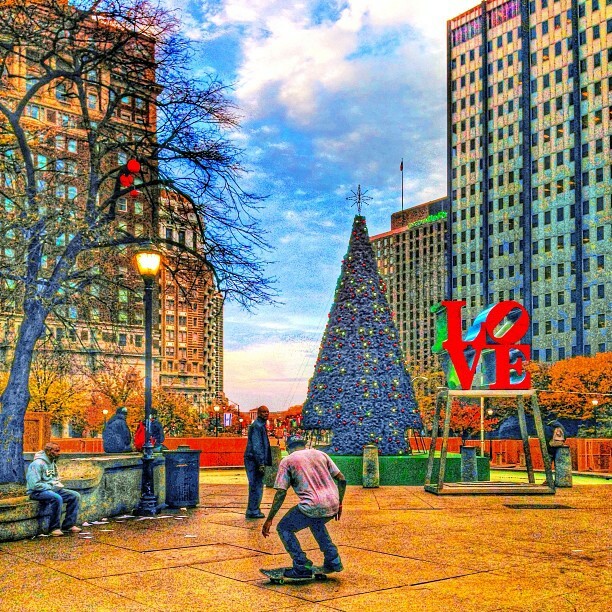 In 2014, the Association for Public Art (aPA) in collaboration with the Philadelphia Museum of Art and the Rodin Museum presented #THINKpublicart: a photo contest and crowdsourcing social media project that used photo submissions of Auguste Rodin’s The Thinker to create a large photomosaic of the iconic sculpture. 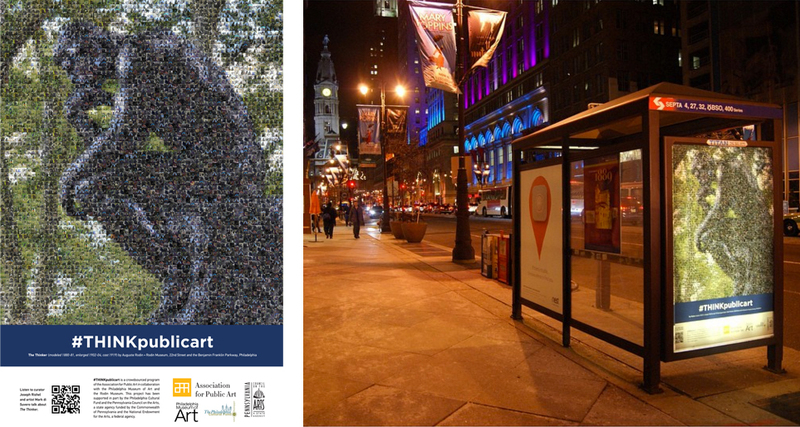 Photos labeled with the hashtag #THINKpublicart were entered into our photo contest and used to create the photomosaic. The final design was featured on bus shelters in Philadelphia and printed on posters that were made available to the public for free at locations throughout the city. 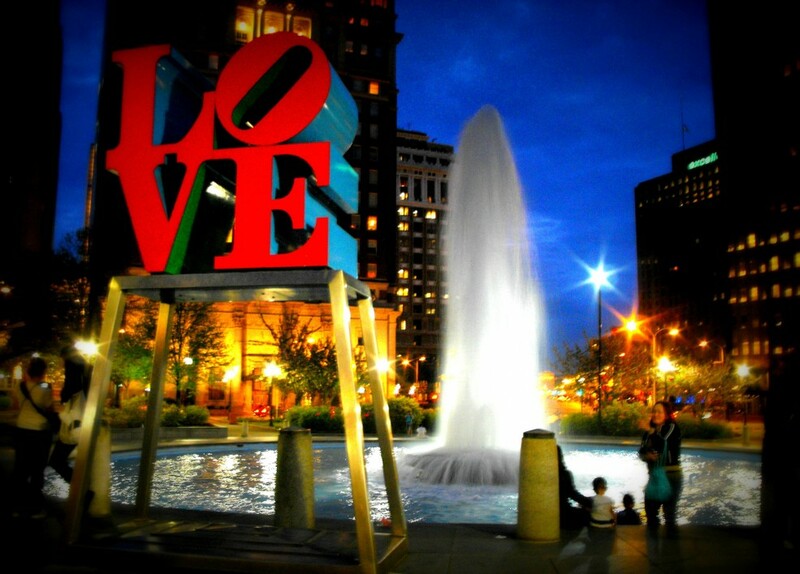 #LOVEpublicart photo submission by Jill Fratanduono on Facebook. 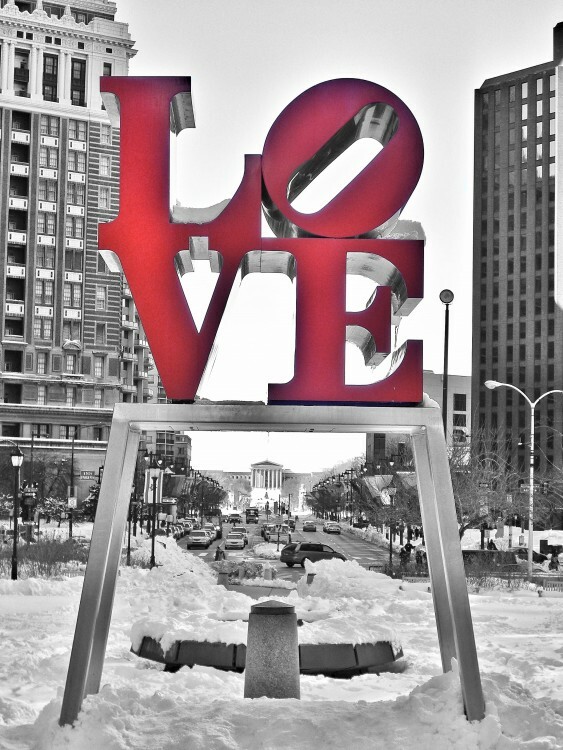 #LOVEpublicart photo submission by @pbodyphotos on Instagram. #LOVEpublicart photo submission by Amy Irvin on Facebook. #LOVEpublicart photo submission by Judi Rogers on Facebook. 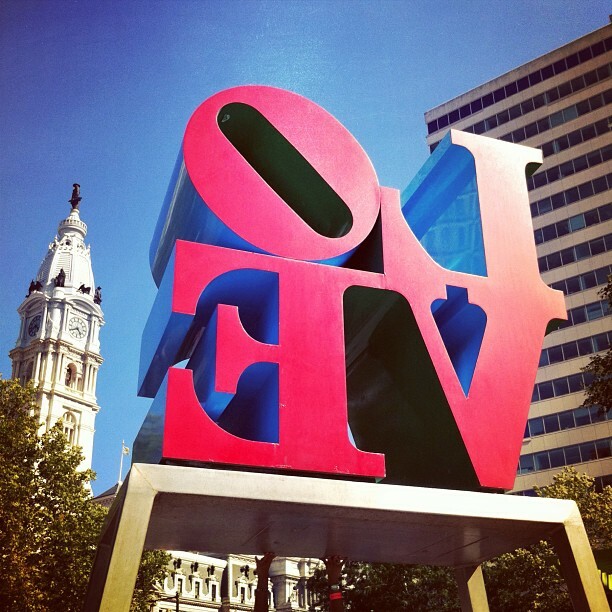 #LOVEpublicart photo submission by @ihatemyglasses on Instagram. #LOVEpublicart photo submission by Kelly Gidzinski on Facebook. 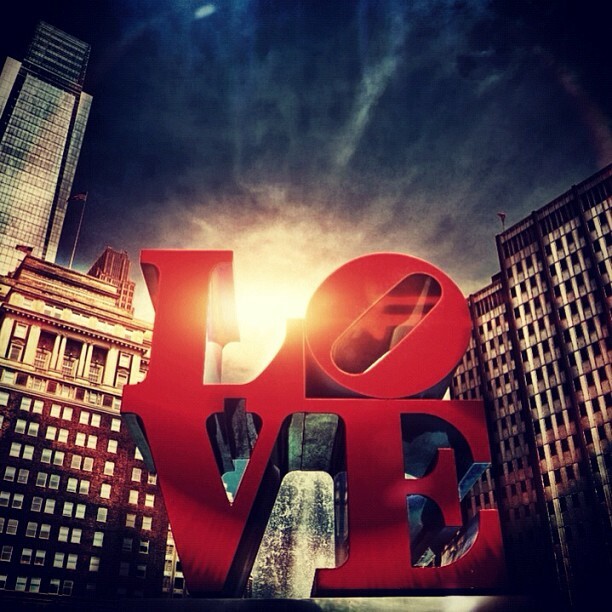 #LOVEpublicart photo submission by @sarom215 on Instagram. #LOVEpublicart photo submission by Lonnie Graham on Facebook. #THINKpublicart photomosaic posters now available!